Van Jefferson knew that his future would be in limbo but with everything going on in Oxford, Mississippi he needed to get out. The football program was fined, received a two year bowl ban (2017-18), a scholarship reduction through 2018-19 and a show cause order for five coaches. Oxford, a place that Jefferson chose to spend his college years at had become toxic and he needed to leave. So Jefferson — and five other teammates — did just that. Jefferson and quarterback Shea Patterson took a trip to Michigan first. Patterson would commit to the Wolverines shortly after the visit but Jefferson waited. Dan Mullen and Billy Gonzales knew they needed to add depth and talent to the roster and Jefferson’s 91 catches for 999 yards at Ole Miss could do just that. Additionally, Jefferson was born in Jacksonville and his father Shawn is the wide receivers coach for the Miami Dolphins. With all of that knowledge Mullen and Gonzales met with Jefferson to give him their pitch. 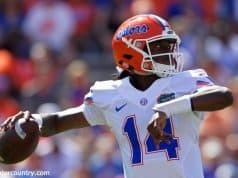 Playing in the SEC Jefferson had a close look at Florida’s sputtering offense the last three years. It hadn’t been an offense that many players would voluntarily chose to play in but the new coaching staff gave Jefferson hope. 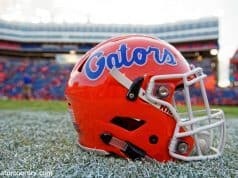 Jefferson pulled the trigger and became a Gator. The transition was smooth despite the two southern towns being as different as any in the SEC (outside of Nashville) can be. There was also the uncertainty of his future. Michigan was the first school to pull the trigger and petition the NCAA for Patterson’s immediate eligibility. One by one his former teammates were granted eligibility but Jefferson is a fourth year junior — older than the others that transferred — sitting out a season would be detrimental to him and his future. Florida had to make sure their case was airtight. 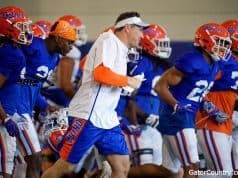 The Thursday before fall camp began Dan Mullen announced that Grimes had been granted immediate eligibility to play in 2018. Since he transferred within the conference he’ll need a waiver from the SEC to play but that should be a formality. Jefferson immediately bolsters a wide receiver group that has underperformed the last three years. 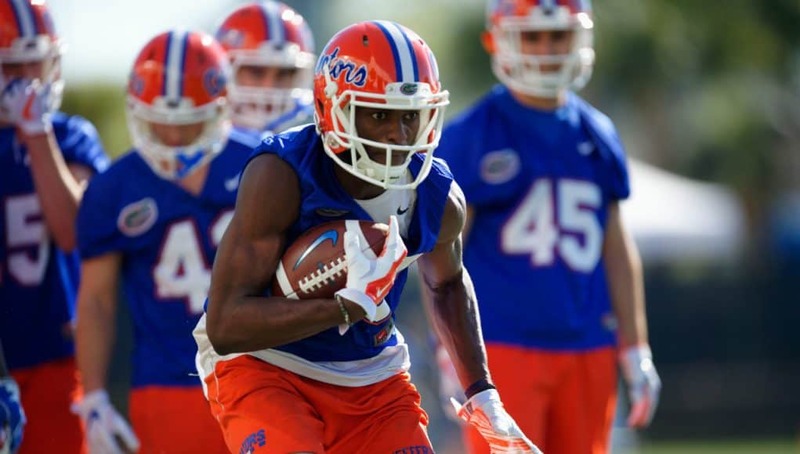 He’s he most experienced in the group and probably Florida’s best receiver already.